Please note: These are brand new units, but were damaged in transit to us. It is impossible to maintain a healthy, vibrant marine aquarium without also maintaining the proper levels of calcium and alkalinity. 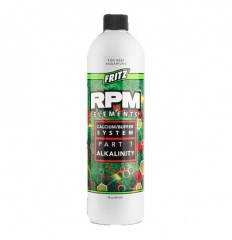 FRITZ RPM CALCIUM/BUFFER SYSTEM allows aquarists to maintain these two critical components in their proper ionic balance. 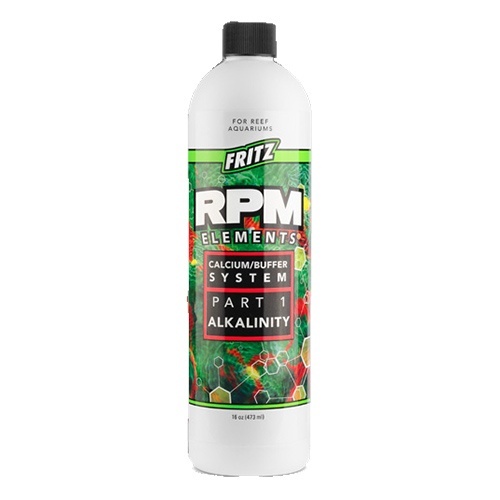 Unlike other similar products, FRITZ RPM CALCIUM/BUFFER SYSTEM does not contain unmeasured and unnecessary ions and metals, which unchecked can lead to toxicity in the aquarium. PART 1 is formulated to provide the highest purity carbonate alkalinity, and when used in conjunction with PART 2 along with regular water changes with a high quality salt like FRITZ RPM SALT it will provide the correct ionic balance necessary for healthy and beautiful fish, corals, and invertebrates. When added to the aquarium some cloudiness is normal. Allow cloudiness to dissipate completely in between adding PART 1 and PART 2. Before beginning routine dosing, adjust the alkalinity to within the range of 8-11 dKH (2.8-3.9 meq/L). Adjustment Dosage: Begin by measuring the alkalinity of the aquarium water and determine how much you wish to increase it. Each ml of PART 1 will increase the alkalinity in 1 US gallon (3.78 L) of water by 2.1 dKH (0.75 meq/ml). One teaspoon (5 ml) will raise 10 US gallons by 1.06 dKH (0.38 meq/L). Do not exceed 5 ml per 10 gallons daily, and always avoid an immediate +/- 0.2 change in pH. Routine Dosing: Once alkalinity has been adjusted to the desired level, recommended starting dose is 5 ml (1tsp) each of Part 1 and Part 2 per 20 gallons of aquarium water per day. Maintain alkalinity between 8-11 dKH (2.8-3.9 meq/L) by testing daily and adjusting dose accordingly. Depending on the degree of calcification occurring in the aquarium, dose may have to be significantly increased over recommended starting dose. For best results test levels regularly and adjust dosage accordingly.